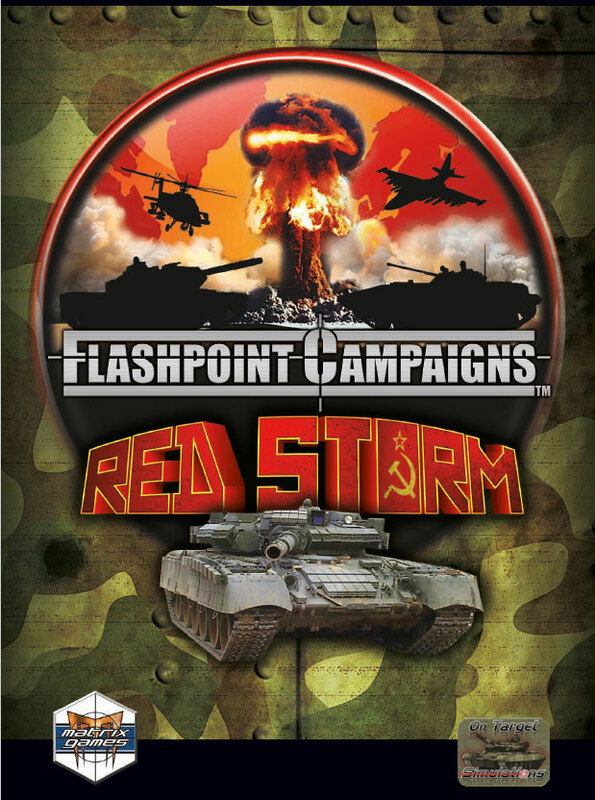 I have Flashpoint Campaigns - Red Storm on my Steam wishlist. It might be a game that fits the FGM crowd as it is WEGO. Although released some years ago I understand that it has continued to receive development. Anyone have experience with this game? I have it love the engine, though haven't played it as much as I really would like as other games claimed my attention and the modern/fictional era isn't my main interest. If they would do WWII with the engine (they haven't ruled it out) it would probably be one of my favourite games. If on sale, get it - I don't think you'll regret it. It looks quite slick on Youtube. Would like to see BF move in that direction re UI. I'll pick it up next time it is on sale. I'll keep you in mind for a H2H once I get up to speed with it. Flashpoint Campaign - Red Storm and the Germany Reforged DLC are on sale at Steam - 50% off. Plenty of stuff on youtube if you are interested. I will post an intro to the game here. I think most of the negative comments have been addressed in subsequent updates, and a major update has just recently been released. Before opening the tutorial mission, goto Help and open the FPC-RS Quickstart & Tutorial. This provides the detailed explanation of what to do in the tutorial mission. Boardgame players will be familiar with the general layout. A unit icon is displayed below and is fully explained in the manual. re RockPaperShotgun review - a pretty good review and I think captures the essence of the game as I am discerning it so far. I think the game will be at its best with the Limited Staff Rule. The asymmetric command cycle, which is dynamic is a key concept in the game. Time management when giving orders seems to be a major consideration, and this is detailed to the minute. All the actual firing of weapons is conducted by the units, so there is no micro-management CM style. The game is about giving timely commands and reacting to the intel. RPS review was in 2013, the map looks better now and most of the wrinkles ironed out. For instance, the comment about not being able to select a HQ and its units quickly has been fixed. Still coming to grips with the mechanics, but you can have the Tutorial pdf open in a window and the game in another, so you can read and click your way through the tutorial. A few run-throughs and I'm getting a feel for it. I bought the book but never finished it. Very poorly written from a literary standpoint, but if you can endure that the topic matter and action is reasonably well depicted. Talking to Lethal about modern war and I wondered if he read Team Yankee. It came out back in '87 and I noticed a lot of my buddies were reading it when I was stationed in South Korea. Finally read it a few years later as a nostalgic read. As you know I'm pumping up the tyres of FC:RS! After a few play-throughs of the tutorial mission I have a good feel for the mechanics of the game, if not knowledge of the detail. It is a good idea to place a copy of the tutorial PDF in your Dropbox, then download this to an ipad type device or use the windowed view as mentioned previously. I have ventured into my first scenario - Eyes, Ears and Teeth - A NATO recon in force mission, with units only spotted if in LOS, and unlimited commands. Playing NATO provides a number of advantages for the new player. 1. Less units, so you can focus on how units respond to your commands. 3. The NATO command cycle is generally "inside" the Soviets. Most of us would not know what the role of a Korshun, Spandrel or Avenger is! On my first attempt I thought an Avenger was a small recce unit of some sort and used it as such! After your first attempt at a scenario you will want to identify your anti-air assets! You will cheer every Hind destruction and shed a quiet tear for every Cobra that goes down! Each scenario provides a full list of NATO and Warsaw Pact units via the Sub-Unit Inspector. At this stage note how your units respond (or don't) when out of range of their HQ. Make sure you note the ammo state and readiness of your units ( eg Apaches, MBT) during each command cycle. If readiness is too low their response to opportunities/orders diminishes. The NATO units are more stealthy than the Soviets. You will generally get the first shot/sighting and with a little luck not give away your position. Once spotted (white dot in lower right of the icon) you will be hurt if you stay in that location too long. The AI will suss out how to take you out. So shoot and scoot! The balance is number of commands, the more commands a HQ issues the more likely it will be identified via EW and targeted by artillery. Hence the more advanced option of limited commands per command cycle. More later, Terrain and Movement. Steam sale ends July 5th. The map will be familiar to traditional boardgamers and is fully discussed in the manual (If you would like to see the manual - click here!). Of particular interest is the Show command. On the map below the 8/EET Task Force Abrams flyout is shown. The numbers are the Line of Sight probabilities from that location which are obtained via Show - LOS or Ctl L. Other Show options include: Elevation (5 levels), Max Combat Range, Command Radius (HQ units). Each hex is 500m. On the subunit inspector, ranges of various weapons are provided in metres, so brush up on your 500 times tables! A view from one hex to another is considered blocked if there is an intervening elevation or if the accumulated visual clutter due to cover, wrecks, and smoke along the LOS drops the visibility below 10% for most units. First, there is a hard check of elevations between the spotter and the target. If a line from one hex to the other is broken by an elevation at or above the line at the location the LOS is blocked. If the first check passes, the second test is to see if the accumulated visual hindrance from the terrain, smoke, wreck, etc. falls below 10% and is considered blocked. Recon units and units with thermal sights have bonus that improve their ability to see deeper into terrain or through smoke. Note the units below that have a white dot in the lower right corner of their icon. This indicates that the unit has been spotted. Note the two Cobra's sitting behind the range near Ginseldorf. As they are behind the range they have not been spotted by the approaching Soviet units. The following turn I plotted a course for one of the Cobra's to fly within range of the leading Soviet units then return to a safe location. This loop like course is a common tactic used in the game. Same idea for the Kiowa recon helicopters (HQ Eyes on the map), loop into a zone you want to have a look at, then travel out. Not good for a Kiowa's health to stay in LOS of enemy units too long. When planning an attack make sure the readiness and ammo state of each unit is acceptable. Because NATO is outnumbered they cannot afford to have too many units dropping out for resupply at one time. Any pause in combat is an opportunity for resupply. Does the yellow border around the edge of the unit counter designate the active unit you are working with? That is correct. If there is a stack of units and you want to select them all, the shortcut is Ctl S, or right click on the unit and use the menu. When the stack is selected the other units in the stack will have a thin yellow line around them and the active unit the thick line you see in the image. You can then move the stack to a location (left click up to three waypoints), view all the units by hovering the mouse over the stack, select a unit then fine tune where you want it to go. Not a great idea to have a large stack of units, but useful during the first turn when you want to position a formation. The tutorial shows you all this and a lot more. It seems a bit strange at first but after a few hours it becomes second nature when playing the game. There is a series of videos by various players depicting the tutorial mission. Below is an image of the Cobra attack I mentioned earlier. Note in the Cobra sub-unit display the Hydra 70 HEAT missile has a range of 6000m, so I could have stood off 12 hexes. I presume a closer range gives a higher probability of a hit so I plotted a course (red line) closer than that. You should be able to see the three waypoints. The player does not plot the actual attack, only places the unit in a probable attack position. I also ordered a mortar smoke attack between waypoint 1 and the targets so the Cobra could take advantage of its Thermal Imaging System. After the attack I am trying to hide the Cobra in the valley. A safer spot is its origin as it has level 3 terrain protecting it. As it turned out, the route put the Cobra's into TOW range (3750m). The number in the lower left of the icon indicates the number of units in that formation - in this instance 2. R - Resupply. And how did the air strike work out? An interesting and ultimately sad story! The Cobra's did score some kills on that sortie but a Hind bumped them off in the destination square - hence my comment about the origin being a safer place! I thought the level one location would have been good enough to hide behind but obviously the Hind managed to see down the slope from a level two position on the far side of that "peninsula"! Other learnings: infantry dug-in in forest/trees are very hard to eliminate - generally a good feature for the NATO player. Hinds are a big issue for the NATO player, as are Tanguska SAM. These guys in tandem dominate their space. During the deployment turns take the opportunity to resupply units. Readiness is a key factor in whether a unit will respond to a command or take a firing opportunity. If a unit gets engaged in a firefight and their readiness gets too low you will not be able to get them out. And in a slugfest the Soviet always wins in the end due to superior numbers. As the NATO player you can dictate the ground where the battle is to be fought and don't bother about VP locs until late in the scenario. Still scratching the surface of course, but finding that the game presents an interesting array of issues for the player to resolve. If I have understood the devs intentions (they are working on the next game in the series "Southern Storm") is that the information in the subunit inspector will receive an update so as to explain equipment and munitions more in detail for those who are not that familiar with modern battle units.